Whenever I hear Lyle Lovett, I always feel as if I'm hearing "country blues." Certainly true of this selection. Stay tuned. You may be hearing more from him here at CitySquare in the future! From the air. . . 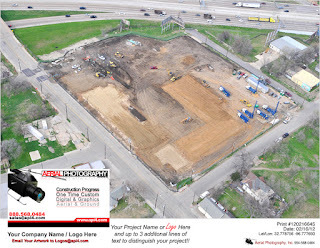 So, here's a "bird's eye view" of the goings on at CitySquare's new Opportunity Center at the corner of I-30 and Malcolm X Boulevard! The blue trucks are drilling rigs brought in to drill 109 wells that extend 250 feet into the earth as a part of our very "green" geothermal H/VAC system. Progress is fun to watch. Lots of great naming opportunities at all fund levels. Just give me a call or shoot me a note here! Last year CitySquare signed on to be the sponsoring organization in Dallas for the 100,000 Homes Campaign to end homelessness in our community and, in partnership with hundreds of other organizations, to end homelessness in the United States. Recently, I received the update presented in the video below. I believe you'll find it interesting. In Dallas, we will conduct a registry process the week of March 25-30. After a day of training, we will be on the streets from 4:00 a.m. until 6:00 a.m. interviewing and registering the most vulnerable of our homeless neighbors with a goal of seeing as many housed as quickly as possible. If you live in Dallas, we need your help! You may volunteer by sending an email to me at ljames@CitySquare.org. Now, check out the video that describes the national plan. The Old Testament is clear regarding the close relationship between God and the neighbor. This relationship is a distinguishing characteristic of the God the Bible. To despise one's neighbor (Prov. 14:21), to exploit the humble and the poor worker, and to delay the payment of wages, is to offend God. . .(Deut. 24:14-15; Exod. 22:21-23). This explains why "a man who sneers at the poor insults his maker: (Prov. 17:5). Inversely, to know, that is to say, to love Yahweh, is to do justice to the poor and oppressed. When Jeremiah proclaimed the New Covenant, after asserting that Yahweh would inscribe the law in the hearts of human beings, Jeremiah said: "No longer need they teach one another to know the Lord; all of them, high and low alike, shall know me (31:34). But Jeremiah advises us exactly on what knowing God entails: "Shame on the man who builds his house by unjust means, and completes its roof-chambers by fraud, making his countrymen work without payment, giving them no wage for their labor! Shame on the man who says, 'I will build a spacious house with airy roof-chambers, let windows in it, panel it with cedar, and paint it with vermilion'! If your cedar is more splendid, does that prove you are a king? Think of your father: he ate and drank, dealt justly and fairly; all went well with him. He dispensed justice to the cause of the lowly and poor; did this not show he knew me? says the Lord" (22:13-16). Where there is justice and righteousness, there is knowledge of Yahweh; when these are lacking, it is absent. . . .To know Yahweh, which in Biblical language is equivalent to saying to love Yahweh, is to establish just relationships among persons, it is to recognize the rights of the poor. . . .When justice does not exist, God is not known; God is absent (pages 110-111). What follows is an email exchange between Janet Morrison, Director of the Community Life Team at CityWalk and one of our residents whom we'll call "Patrick." The honesty and the struggle are very clear. The difficulty of recovery and the opportunity to achieve it continue on display every day here inside the housing community offered at 511 N. Akard Street in Downtown Dallas. After all that has gone on at CitySquare, emails like the one I'm about to share with you are awesome to receive. Patrick is a CityWalk resident who moved in a few months ago. When I did his initial Outcomes Star, I had a feeling he would have some challenges. I had asked George to try to work closely with him. Patrick first agreed to meet with George, then started sending angry emails to me saying it was wrong that we force him to meet. He said he knew he had struggled in the past but he had his life under control and didn't need someone telling him what to do. He demanded to meet with Dallas Housing Authority (DHA) staff and myself. I went ahead and tried to set that up with DHA. While that was happening, I saw him on the elevator. He, evidently, didn't remember who I was and was asking others in the elevator if they had to meet with this "Community Life team," to which one of the residents smiled and eagerly said, "Yes! I do...and she (pointing at me) is the one who met with me!" Patrick asked who I was. When I told him, he put the name with the person he had been emailing and looked a little surprised, then got off the elevator. I talked to George and I imagine he talked with Patrick again. I have decided to cancel the meeting with you and DHA. 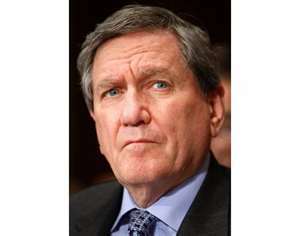 I will meet with George on 1/18/12 to discuss my goals. Sorry about all the confusion I have created. What you are witnessing is my self-destruct mode that I resort to and for what reason I don't know. I guess I feel that I can always live on the streets when something isn't going the way I think it should. I've learned how to make it on the streets and have a tendency to resort back to those ways. Is this insanity or what? I need to accept success and change my homeless ways of thinking. Also, when I allow someone to counsel me or talk to me about my goals, is like saying I don't know how to manage my own life. I do know how to manage my own life. I grant you that in the past I haven't done a very good job of it, but that has been because I didn't care to manage my own life, I just wanted to continue with my addiction. I must learn to humble myself and allow someone else into my life. Am I making any sense with all this? Do you understand what I am relating to you? Again, cancel the meeting and I will meet with George on the date I mentioned above. My sincere apologies to you and George. During my time of addiction and homelessness, I was never truly a happy person. Help came in many forms and fashions. Most of them I cared nothing about. Today, I have the best help I could ever ask for in my arrangement with CityWalk. It is what I looked for for a long time. I found out about CityWalk from a Lady at The Heights Church in Richardson. I admit though that what works for me might not be right for the next person. Since I have been at CityWalk I have accomplished some things, but could have done more. That's my fault. Did you know that attempting to bring an addict or homeless person into recovery or such is almost like trying to cage a wild tiger in alot of cases. The tiger is "stuck" (Outcome Star: User Guide) and wants to scratch anybody that comes close. In a way I still fit this model. I'm working on becoming more of a civilized tiger though! I know what's going on in the mind of an addict and/or a homeless person since I can very much relate. In some instances when I come in contact with an addict or homeless person I see the way I have been and actually don't like what I see in that person. I want to see in me and that person what God ordained before the foundation of the world in that person and myself. This requires relinquishing (surrender) control of myself and giving it to God. This can be scary since I have always wanted to be in control. It's kind of like losing me. But, I know that is best to lose the old self and give God a chance. Regarding the Action Plan, I am making progress. I have a plan for getting a job, but I have to do this in the right order so as not to compromise what I now have. I have started attending Celebrate Recovery and have a plan for the senior center. If you have a prayer list, please put me on there. I thank God for bringing you, George and CityWalk into my life. Thanks for your friendship and the same to George!! It helps me just to talk with you via email, so hope you don't mind me rambling on about all this stuff. These are the things that help me know that the struggles and frustrations have an end result. Our job is a roller coaster. We may run into something else with Patrick tomorrow that takes us back a couple of steps...but receiving emails like these every once in a while help us know we are making progress and moving forward. History and memory lead us back toward significant places where things occurred, were planned and executed. 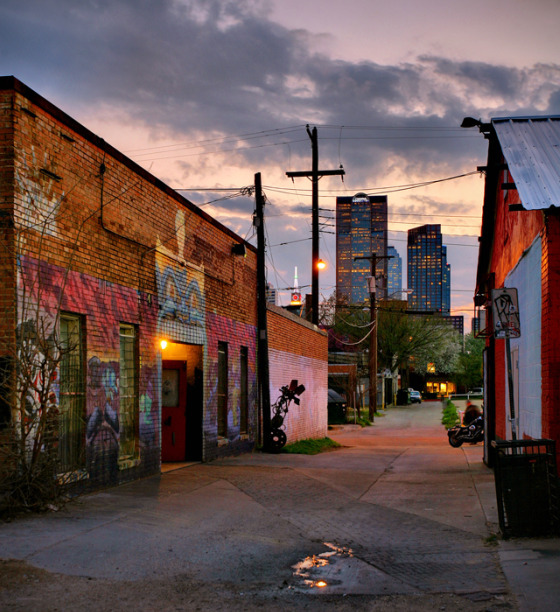 Such a place is 409 N. Haskell Avenue (409) here in Dallas, Texas. In 1994, thanks to the commitment of Jim and Betsy Sowell, along with the support of many of their friends at the Preston Road Church of Christ and from other churches, Central Dallas Food Pantry purchased the property at 409 to accommodate the expansion and growth of the organization. 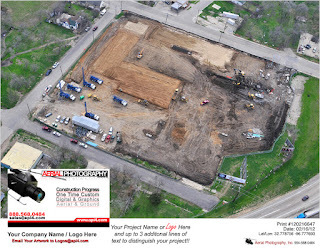 The property had been purchased from the Resolution Trust Corporation at a very good price. I arrived at Central Dallas Food Pantry just as the remodel began on this new facility. 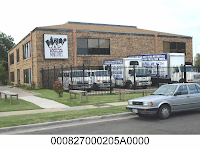 Previously, the organization ran everything from the much smaller building located at 801 N. Peak Street in the same neighborhood (and that is another story to be told at another time!). 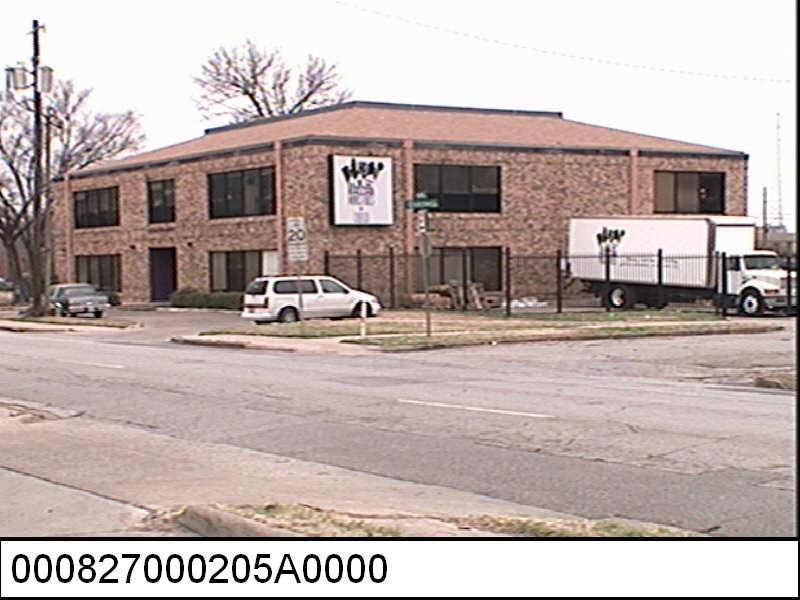 The new property signaled a new beginning for what soon would be tagged "Central Dallas Ministries." With the current development of CitySquare's Opportunity Center, the 409 property is now for sale. 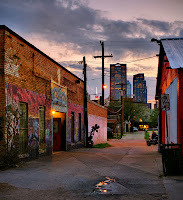 As we move on to the next chapter in our history, it seems appropriate to reflect on all that transpired in this special, unique corner here in inner city, Old East Dallas. So, over the next several months (most likely it will take that long! ), I'll be telling stories on this page about the events at 409 that have shaped us all and that have led to the transformation of so many lives. Thinking about this little memory project brings to mind so many key words and tags. Here are a few just for starters. . .
Getting out a newsletter. . .seriously? Stay tuned for short stories and vignettes from our past at this very sacred place where community has been breaking out for years now! Society defined by wealth and throw away treasures, like those I find to call mine. No harm, no trouble, just trying to be free and cared for by only me. I just wish they could see me for what I aim to be. Just known, understood and valued like the work I do for us. 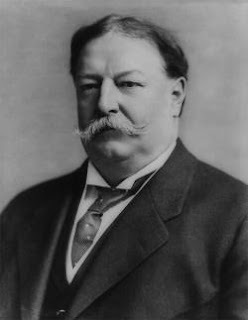 Here's a fascinating essay comparing how the U. S. handled its income gap between the well-to-do and the bottom early in the 20th Century when William Howard Taft served as President. The analysis quickly reveals how so much more conservative our nation has become, a trend that appears to be growing. If only Americans today were as open-minded about leveling the playing field as we were 100 years ago. In one of his last acts of office, President William Howard Taft attempted to solve the problem of inequality in America. In August 1912, on the cusp of a brutal third-place finish in the presidential election, he created a Commission on Industrial Relations to investigate “the general condition of labor in the principal industries.” Despite its fusty charge, the commission turned out to be one of the most sensational sideshows of the Progressive Era, a cross-country journey through the wilds of American class conflict. For three years, government commissioners traipsed from city to city asking capitalists, union organizers, and reformers what it was like to work in America, and whether the spoils of industry seemed to be distributed fairly among the rich and poor. Their numbers bore this out. According to the commission, the “Rich”—or top 2 percent—owned 60 percent of the nation’s wealth. By contrast, the “Poor”—or bottom 60 percent—owned just 5 percent of the wealth. Today, after a century of ups and down, we’ve landed back at those extremes, give or take a few percentage points. But what’s striking about the commission’s report, read from a 21st-century perspective, is how limited our own debate about inequality seems by comparison. For the commission, inequality was a fundamental problem that threatened the entire fabric of American democracy. Today, by contrast, we’re busy debating whether a multimillionaire like Mitt Romney ought to pay a few more percentage points in federal taxes. 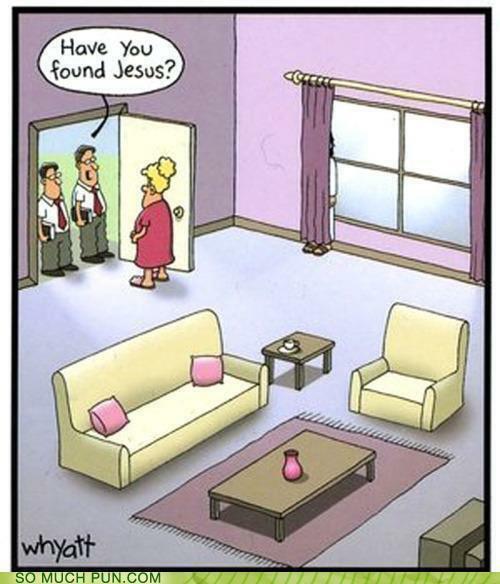 Fun cartoon from my friend, Rev. Eric Folkerth, Senior Minister at Northaven United Methodist Church in Dallas! A new report paints a tough, but realistic picture of life in Dallas at the lower levels of the economy. It turns out that the numbers of people struggling with "asset poverty" are startling. Read the entire report on here. Here are scenes from the DFW Education Center where CitySquare partners with Northlake College and the Construction Education Foundation to offer our WorkPaths training program. The 16-week instruction exposes students to every aspect of construction trades, including framing, floor and roof systems, H/VAC, plumbing, electrical, welding, OSHA, forklift operations, and much more! A very high percentage of our students graduate, and over 70% find employment and remain employed 6 months out from course completion. Currently, 20 students are working through this very beneficial course! We're extremely proud of each of them! What a phenomenal resource we have in the DFW Education Center. The multi-million dollar facility provides amazing options and opportunities for the students we recruit to the program and with whom we work on a daily basis. See information below on one of the most amazing community assessment and development tools that I've ever seen. Plan to attend the Dallas area roll out next Tuesday, February 21 at 9:00 a.m. at the Richardson East Church of Christ (1504 E. Campbell Road, Richardson, Texas 75081). "I'm not concerned about the very poor. We have a safety net there. If it needs repair, I'll fix it. I'm not concerned about the very rich; they're doing just fine. I'm concerned about the very heart of America, the 90-95% of Americans who right now are struggling." Well, it got me thinking: Romney was actually being honest about Americans in general. We don't - none of us - spend much time thinking about the very poor. But we should, because we have a real problem in this area, an economic, political and moral problem. By Romney's calculations, if 95% of Americans fall in the middle class, then there must be less than 5% of Americans who qualify as poor. The number from the Organization for Economic Cooperation and Development, the association of the world's developed economies, is actually 17.3%. And how do we compare with other rich countries? We rank 31st of the 34 countries that make up the OECD in terms of the percentage of our population that qualifies as poor. Of the 34 member states, only Mexico, Chile and Israel are worse off than we are. The UK (at 11%), Germany (8.9%) and France (7.2%) are all much lower. The OECD average is 11%. In case you're wondering how the OECD defines poverty, it calculates the number as the percentage of people who earn less than half of the country's median wage. It's an easy way to compare data across countries. In the video above, look at the chart that shows the percentage of children in poverty. At 20.6%, we again come off far worse than other rich countries. Japan, Australia, the UK, Germany and France all have much better numbers. Let me suggest one place to fix things: end child poverty. Whatever the causes of poverty, when children grow up in desperate circumstances - circumstances that they had no role in creating - studies show that they will be more likely to drop out of high school, be unemployed, use drugs, have children out of wedlock and get ill. In other words, they will be unproductive members of society and cost taxpayers huge amounts of money over the course of their lives. We know that we have an education problem with the poor. Seventy-seven percent of our kids who entered high school graduated. Compare that with other rich countries: 90% in Switzerland, 91% in the UK, 93% in Finland and 97% in Germany. Studies show that dropouts are twice as likely to slip into poverty than high school graduates. Children in extreme poverty do badly even when they are smart. A recent U.S. study tracked a group of eighth-graders in 1988. It found that students who did very well on a standardized test but were poor were less likely to get through college than their peers who tested poorly but were well-off. Look at health care. A key indicator of the level of health in a country is its infant mortality rate; that's when a child dies within the first year of life. Let's compare again. We're at about six deaths for every 1,000 live births. Again, the UK, Australia, Germany, France and Japan all fare much better. Japan's rate is less than half ours. This is simply because many mothers don't have access to prenatal care. Malnutrition and poor childhood health care set in motion a lifetime of poor health - and huge costs to the system. On indicator after indicator, the U.S. compares badly with other rich nations on not only how impoverished it is but on the facilities and opportunities it is giving the poor. That's why social mobility has stalled in America. Compared with other rich countries, poor Americans are more likely to stay poor. More than 40% of American men whose fathers had earnings in the bottom fifth end up in the same bracket. Britain, Denmark, Finland and Norway all perform much better. The sad part is, these statistics are reversible. Compare child poverty rates in America and the UK. You'll see that the UK's rates were halved within a decade from the mid-1990s. The U.S. has actually risen since then. There's no secret sauce. Tony Blair's Labour government simply made reducing child poverty a priority through various programs. So, Romney: Yes, the media took your comments out of context. But you do need to be concerned about the very poor. We all do. Labels: children and poverty, disparities and poverty, poverty in developed nations, poverty in the U. S.
Can you imagine the enormity of such a challenge? To move into our school district, so riddled by poverty, economic and educational disparity, high drop out rates and very low outcomes on producing college-ready graduates--talk about a challenge. I agree with those who identify poverty as the biggest challenge facing our district, its students and our next district leader. What would I do if I were the next superintendent of DISD? Here's my short list of action items to plant in the school culture over the first 5 years. 1. Identify "master teachers" already at work in the schools. Every school has them. Everyone knows who they are. But how do we leverage their success to benefit other faculty members, as well as students who will never benefit from the experience of their classrooms? There is a way to infiltrate and inject the attitude, methods and commitment of master teachers through and into the rest of the teaching team. Call leading teachers into the leadership mix of each campus. Then, keep track of outcomes. 2. Establish an on-the-ground, at-the-campus, working relationship with the Texas Department of Health and Human Services, as well as other public agencies. In short, move the offices of public benefits to the schools, or at least establish certification or enrollment days for parents from low income families to be able to register for various benefits that can help stabilize poor families for the benefits of students. Make things easier to access and more customer friendly. If poverty is our biggest challenge, then let's decide together to attack it systematically! Why should eligible parents have to go to an office located somewhere else, to deal with strangers regarding CHIP registration, or Food Stamp enrollment, or assistance with childcare, or housing, or EITC filings? Those at the top benefit from financial counselors. Why shouldn't those at the bottom enjoy similar services from benefits counselors. The key to this campus transformation would be to let parents know that enrollment in benefits is not only for them and their children, but also for the entire school and its success. 3. Position principals to function as campus leaders with clear expectations linked to individual student improvement and progress, rather than to the next standardized test. Each student learns at a different pace and in a different way. Measure student improvement and index school leaders' performance to the creation of a culture of excellence that encourages students to grow and excel in their own styles over a longer course of evaluation. 4. Don't shortchange the extra-curricular. One of the reasons low-income students don't achieve more readily has to do with what I call "experience disparity" when compared to more affluent students. Learning must take place outside the classroom, as well as inside. Vocabulary is developed in a process of discovering life both in books and in the laboratory that is our world. Poor kids need more experienced-based educational opportunities. Let's provide them what they need. Then, let's tie what is discovered "out there" to what we are doing "in here." Restore music, art, theater and PE in every school no matter what it takes to fund excellence in these important developmental areas of study, expression, performance and curiosity. 5. Incentivize learning performance and parent involvement with some sort of value added benefit. Parent involvement with PTA or volunteering at school should be rewarded with something of immediate value, like discount coupons to local stores or gift cards that can be used to buy books, groceries or school clothes. We make a grave error if we take our eye off the wicked curve ball called poverty. Reward performance by returning something of real value. 6. Form a closer working relationship with the City of Dallas, Dallas County, surrounding ISDs, businesses, corporations and universities. Find ways to engage these other, huge institutions for the immediate benefit of our students today. 7. Develop a clear communications strategy for challenging students again and again regarding the importance DISD's mission and vision. Repeatedly invite every student into the battle. Rehearse and re-imagine the success that awaits us all if we learn to work together. 8. Initiate a comprehensive evaluation of middle level administrators to the end that more resources find their way to the classrooms, the teachers and the students. Schools should not settle for being a job factory for adults. 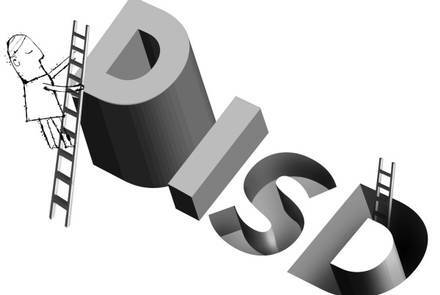 Streamlining away ineffective efforts, programs and departments should be top of the list for any new leader. This means our new leader must be tough, proven and ready for battle! 9. Partner with community based non-profits like Avance and The Concilio here in Dallas to organize, train and equip parents to become the primary advocates for their children and for the education of their children. Community organizing to ensure quality public education should never be considered a threat, but rather an expression of partnership and cooperation. Getting parents and other community leaders involved will be a key component of any successful administration. I suppose my ideas are too simple. And, I admit I enjoy the luxury of not being in the position of leadership. But, I care about these children, and I understand the powerful negative impact of poverty on families and school systems. Several years ago, a candidate for the Dallas School board dropped by my office to chat about his campaign efforts. In the course of our conversation he asked me, "Larry, what do you consider the greatest challenge facing the DISD?" I remember exactly what I told him: "That is easy to answer and very, very difficult to overcome. In a word, the biggest challenge facing our public schools is poverty." I'm not sure he liked my answer or agreed with my assessment, but I believe I was right then, and things have only grown more difficult. So, I read with gratitude the editorial page comment from The Dallas Morning News on Sunday, February 12, 2012. What follows is one part in the paper's series dubbed "Tactics for Turnaround project" dealing wtih the important enormous work that faces everyone who cares about urban, public education here in Dallas. I hope you'll take the time to read the entire essay. There’s no way to sugarcoat the serious challenges ahead for DISD’s next superintendent. One of the biggest is that Dallas public schools are overwhelmed by a worsening cycle of poverty. Less than a decade ago, 73 percent of students qualified for free or reduced-price lunches at school. Last year, that number had grown to 88 percent, and the trend shows no sign of reversing. Poverty is by no means a pathway to failure. In fact, despite the growing number of poor children in DISD, dropout rates are declining, four-year graduation rates are up and some standardized test scores are improving. Poverty doesn’t have to be the insurmountable obstacle to success that some might assume. Still, students living in poverty are far less likely to get the shot at success that all kids deserve. Studies show that, from birth through high school, children growing up in poor households tend to lack crucial developmental skills, proper health and nutrition, and the crucial component of parental involvement in their academic pursuits. Even before they enter school, kids in poverty are more likely to have stunted vocabularies and be on track to develop debilitating health problems such as obesity. By kindergarten, if a child hasn’t developed a vocabulary of roughly 2,200 words, he or she is already behind, both in literacy and speaking ability. The problem is even worse for those children who don’t speak English; nearly 70 percent of the Dallas district’s student population is Hispanic. Last Friday, I had the amazing honor of meeting and greeting the First Lady of the United States, Michelle Obama. Mrs. Obama visited Dallas to celebrate the great progress of so many Texas schools in preparing and serving more healthy foods to public school students and to promote and extend her "Let's Move" initiative as a remedy for youth obesity. You may link to a video report about her visit by The Dallas Morning News below. City Council Member, Pauline Medrano (actually my council member) took the photo of our brief chat about CitySquare's Food on the Move program that delivered thousands of meals to low-income children last summer in partnership with PepsiCo and our AmeriCorps team. No surprise, I found the First Lady to be down-to-earth, interested in our work and delightful! To watch the DMN video click here. Being a grandfather puts you in a number of fun and unforgettable situaitons. The man at the freethrow line is my oldest grandson, Wyatt Toombs. His team, the Seahawks, won this game 15-8. So, scoring is somewhat limited in the back and forth frenzy of the games in this league. I suppose that's part of what makes this video clip so good. . .or, maybe it's just a granddad's pride. 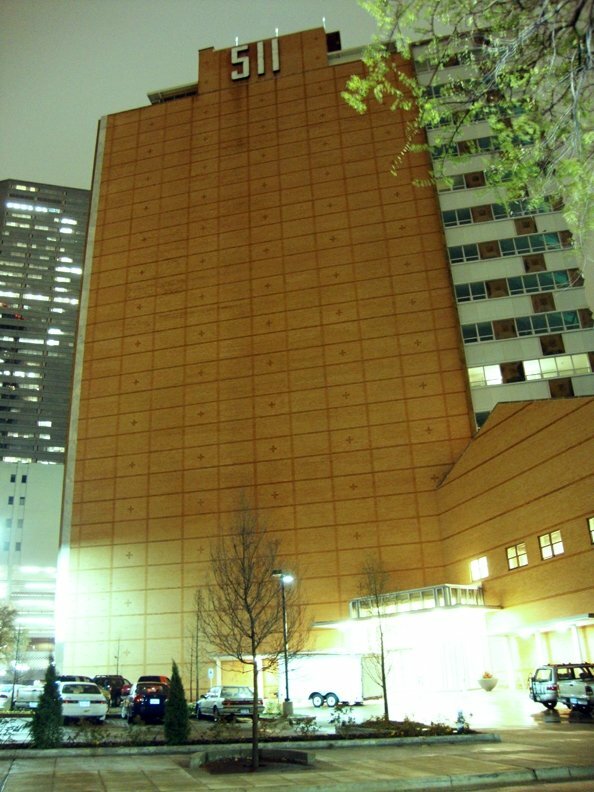 My office is located in a 15-story building first built in 1958 to house offices for the Southern Baptist Convention's Annuity Board. 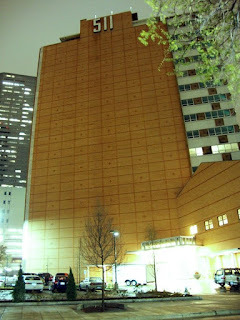 Between 2006 and 2010, after sitting vacant for over 20 years, the building was transformed via a complete "gut rehab." The finished product? A mixed income, mixed use multifamily/retail-office development on the Arts District side of Downtown Dallas. Frankly, the building, the financial strategy that made its renewal possible, the partners who office with us and the approximately 240 men, women and children who call the place home make CityWalk@ Akard an amazing place to say the very least. Of course, the people make the place tick, better, hum! Artists, musicians, formerly homeless, persons on the verge of becoming homeless, dishwashers, waiters, construction workers, the disabled and the discarded all call this place home. 7-11 provides energy on the ground floor. Enterprise Partners occupy about half of the second floor. 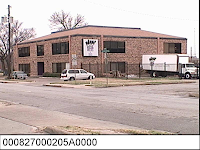 The administrative, development, and law offices of CitySquare, along with the owner/developer of the building, the Central Dallas Community Development Corporation, fill the third floor. Other tenants are discussing occupying the open spaces on levels one and two. 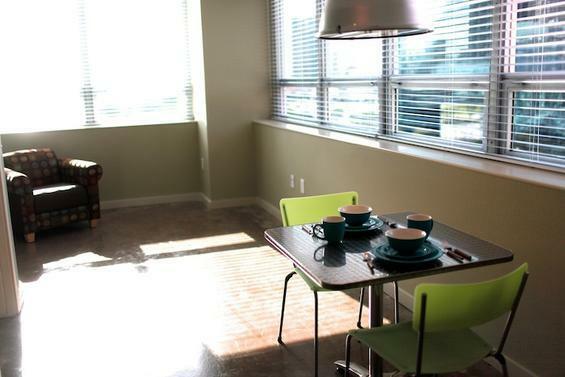 Floors four through fourteen offer 200 units of affordable housing for our residents. Half of the units are set aside for the formerly homeless (when you get a home you are no longer in the category!) and those in danger of becoming homeless. Half of the units are "means tested" by the tax credit rules, meaning that a person may earn up to about $27,000 and still live in the building. Those earning above that ceiling are not eligible to live with us. The top floor is divided into 6 condo spaces that are for sale at market rates to more affluent residents. Two units have sold. Four remain on the market. The place is a "real trip." People find themselves in various states of weakness, vulnerability and distress. Folks are glad to be there. Folks battled addiction, memories and wounds from tough lives on the streets. We are present to direct the much broader, overall work of CitySquare, but also to love the people, to organize the people and to work at building a viable community of health and redemption. Nest, a unique gifts and home accents store in mid-town Dallas, is hosting a fundraiser for CitySquare. Visit Nest and bring in non-perishable food items during the month of February and save on your purchases! A portion of sales will benefit CitySquare's programs and food items collected will be donated to our Food Pantry. 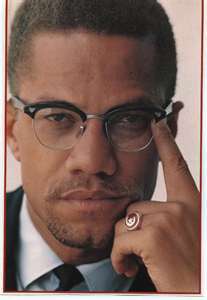 Malcolm X's lost speech from 50 years ago found at Brown University. Listen to portions of the speech and the details of the original setting and discovery here. Thanks to NPR's program, "All Things Considered." Faith seldom shows up wrapped in sweetness or ease. Faith emerges from life twisted, out of balance, torn and scarred. Faith turns out to grow stronger in darkness. Disappointment, loss, and defeat fertilize the budding sprouts pushing out blooms of hope and fruitfulness at just the right moment, when the future appears impossible. Faith calls forth smirking laughter, even from supposed friends. Faith endures no matter what the cutting, heartbreaking disappointment. Faith expects to be rejected. Faith prompts tears in battle and, at times, pure agony in the face of lonely abandonment and judgment often by friends. Faith acts out of deep reservoirs of patient love. Faith knows what others cannot know or see or imagine. Faith challenges rules, legalism and law. Faith transcends safe, ordinary, lifeless constructs designed and passed along to ensure social control. Faith refuses to be hedged, blocked or deterred. Faith refuses to be defined by what's possible, normal or acceptable. Faith finds comfort in truth, wherever truth can be discovered, no matter how unexpected or unorthodox the location. Faith knows fear right well, but never embraces it or asks it to dance. Faith enjoys beauty. Faith creates beauty. Faith supports the discovery of beauty, not matter what limits must be overcome, stuck down or simply ignored. Faith roots itself in a community. Faith goes beyond the moment. It outdistances any individual concern. Faith arises from the center space of life, a place not all reach. Once on it's feet, faith races to the margins to do it's work, performing miracles as if ordinary events of daily life. Faith joins, invites, remains, provokes, loves...forever. . . no matter what. "Better a little with righteousness than much gain with injustice. . . . Honest scales and balances are from the Lord; all the weights in the bag are of his making. . . . Better to be lowly in spirit and among the oppressed than to share plunder with the proud." Laugh to keep from cryin'. . . The path to ending poverty. 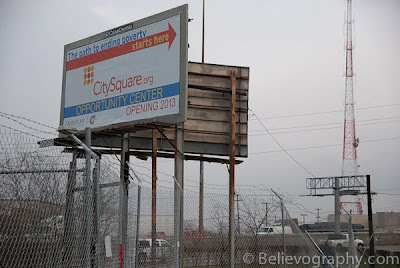 . .
Pictured below is the new sign identifying our new Opportunity Center site at the south east corner of I-30 and Malcolm X Boulevard in South Dallas/Fair Park! The two-sided sign announces our arrival! 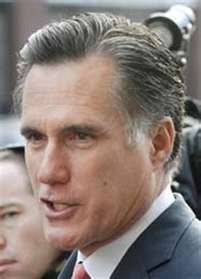 Day before yesterday, Mitt Romney made it very clear that he's "not concerned about the very poor." Actually, as news agencies made clear in the aftermath of the GOP candidate for President's relatively shocking statement, Romney has been saying this or something much like it for months. I'm grateful to Mr. Romney for being so clear. But even more, I'm so thankful that at last someone brought the issue of poverty and extreme poverty into the national conversation. No one else has been talking about the poor much at all. Over the last two days that has changed. Thank goodness! Romney said that the focus of his campaign was not the extremely poor or the extremely rich, but the 95% of Americans who are middle class. Now there are a few glaring problems with his analysis. First, he explained that the extremely poor had a "safety net" to provide for them. He even went so far as to promise that if he found the safety net in need of repair, he would fix it. I immediately wanted to call him up and invite him down to Texas because our "safety net" is in a world of hurt these days! Name the issue or need and Texas under performs terribly. Decent and affordable housing for our workforce and the homeless. Dental services for the poor. Child care and early childhood development. The wealth gap grows in our state and in our urban centers, but the net doesn't hold. Besides, we need a platform for folks to stand on and find traction and stability, not a net into which to fall helplessly. So, come on out to Texas, Governor! Second, there's the problem of the Governor's math: the 95% in the middle. With 1 in 5 Americans, 1 in 4 children, conservatively estimated, to be living in poverty, there is no 95% to be concerned about! 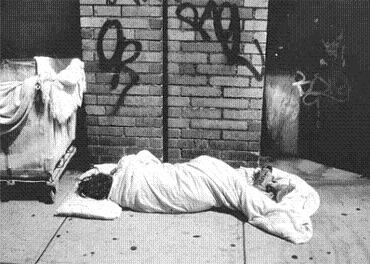 The bottom 30-plus % of our fellow citizens live impoverished lives and things are not improving for them as their numbers swell. But, the Governor says he's not concerned about the poor. I guess not, he doesn't even know how many poor folks there are in the U. S. today. Not good for a President, I'd say. Still, he brought the subject to the top of our minds. For that I remain grateful. It’s that time of year again – we’re recruiting for summer! 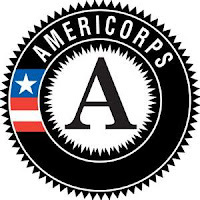 The N2 Texas Corps is actively recruiting nearly 230 summer positions in Dallas, San Antonio, Austin, and Houston! The application is also available online at www.CitySquare.org/BecomeAMember. 1. Simply direct your friends, peers, neighbors, family, etc to the CitySquare website at www.CitySquare.org/BecomeAMember. 2. Direct potential applicants to us via email at AmeriCorps@CitySquare.org. 1. Pass this on via email to friends, family, peers, church groups, civic groups, PTAs, neighborhood associations, any group you have access to via email. 4. Post a Flyer--request one by email at AmeriCorps@CitySquare.org. All the information any applicant will need to know may be found on our website. As always, feel free to contact me with your questions or ideas. The following op-ed essay from David Brooks concerning the growing divide among the American people and Charles Murray's important book, Coming Apart, is worth your time. After you've read it, tell me what you think.